The 1903 is vintage. Roll back the clock to the day when these single cylinder motorbikes where your daily transportation. 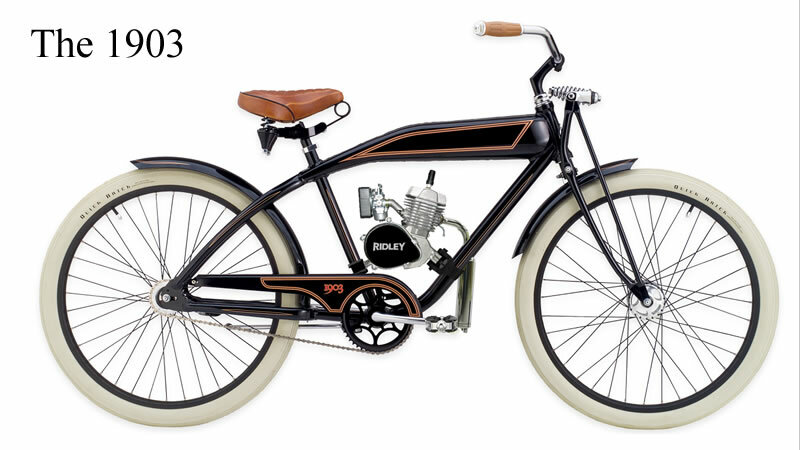 The good-ole days are back with the Ridley 1903 Vintage Motorbike. The 1903 model is currently available through Vintage Motorbike Retailers.